Ho Chi Minh (known as Saigon until 1975), is the capital of the country and its biggest city. 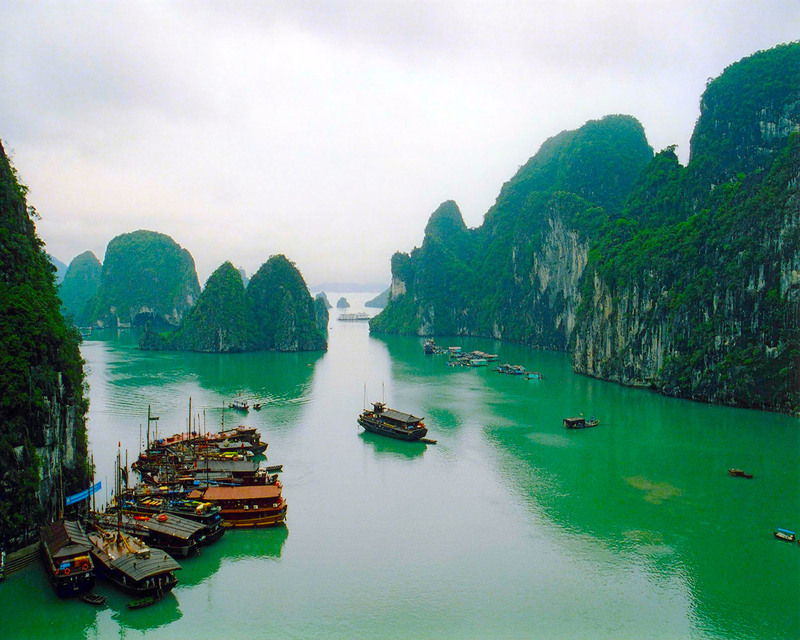 Its old name is still in use by Vietnamese and the tourists, especially referring to the central part of the city. The most important historical site is the Reunification Palace, the place where the South Vietnamese government surrendered to the North. War Remnants Museum displays all the atrocities that were done to the people during the Vietnam war. If you are not interested in modern history, Ho Chi Minh will be just a quick stop on your journey to Vietnam. 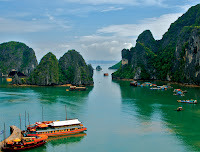 Ha Long Bay in northern Vietnam is a top tourist attraction. 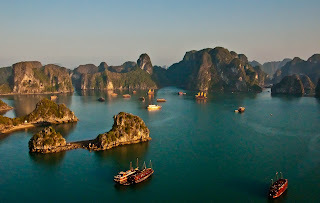 It means "Bay of the Descending Dragons". The scenery is unbelievable; limestone pillars which form a landscape like from another planet. Some of the islands have caves, others have inner lakes. A must see on your tour to the country. 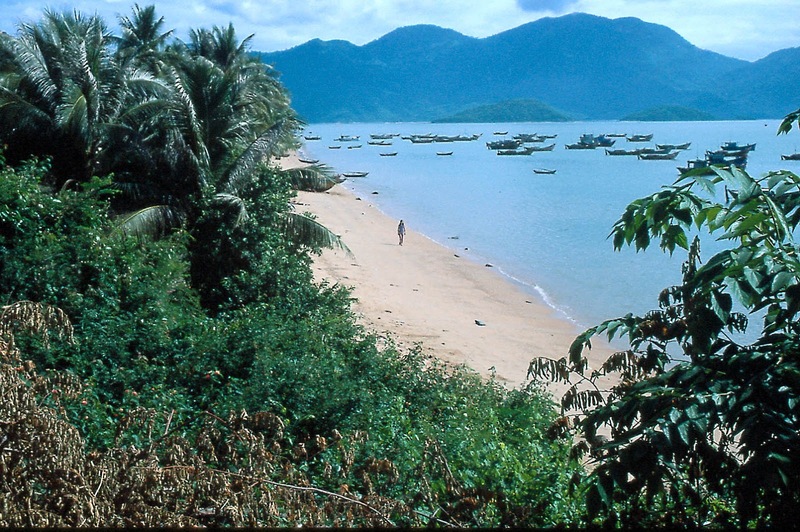 It can be reached on your own from Hanoi, a minibus ride takes about 4 hours. Hue, a city famous for its Imperial Citadel, a complex of tombs, walls, gates, moats, museums; Tombs of the Emperors are located alongside the Perfume River, so the best way to see all of them is by boat. If you are up for an adventure, you can also hire a bike, and visit them by yourself, but you should know that the good maps of the region are scarce. 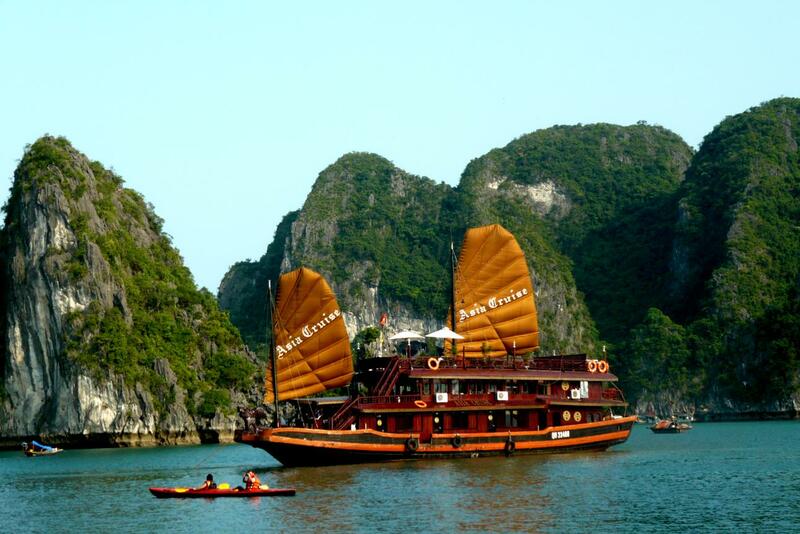 When going down the Perfume River, stop by the Thien Mu Pagoda, the tallest one in Vietnam. It can easily be reached by a plane, from both Ho Chi Minh and Hanoi. Sa Pa, a town in the northwest Vietnam, very close to the border with China, famous for its fine, rugged scenery, but also its rich cultural diversity. If you manage a 9-hour train ride from Hanoi, with the picturesque scenery, and the rice terraces. 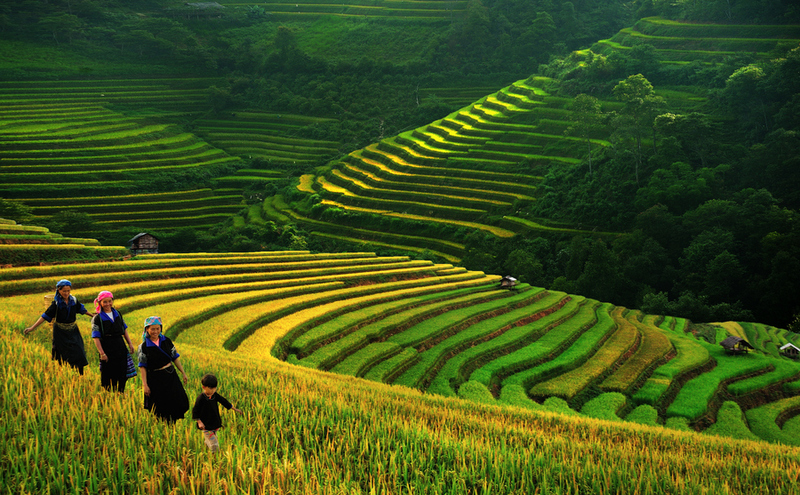 The terraces can be found in the Muong Hoa valley, near the Sa Pa town. Hanoi is (disregarding the name) all about Ho Chi Minh. His museum was finished in the 1990, it boast a series of photographs, letters and document, that have a dose of the personality cult and propaganda, nearby you can also see his mausoleum. One Pillar Pagoda, is tucked behind the museum, and it's a very charming place, where lots of Vietnamese girls stroll and take their pictures. Temple of Literature is founded in the 1070 and its the countries first university. In the courtyard you will find stone blocks with the names of graduates over the centuries. The most charming place in the city is Hoan Kiem Lake and the Turtle tower, that are located in the middle of the city, and have a big importance for the Vietnamese.